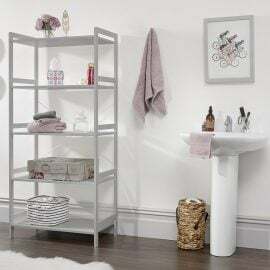 Bathroom storage is essential for any busy household. 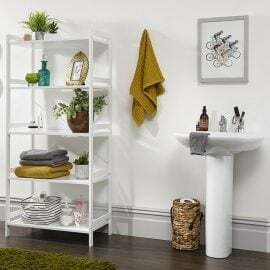 Bigmickey.ie has a wide range of bathroom storage solutions to suit every budget. 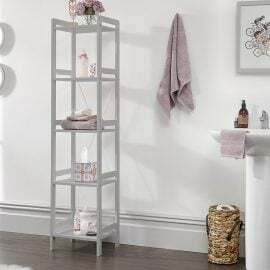 Big Mickey’s Bathroom storage solution includes wall/ floor mounted shelving and floor standing units.Find what you need (and some inner calm) Our bathroom storage organises things so everyone can calmly find their hairbrush, even during the hectic morning rush hour. 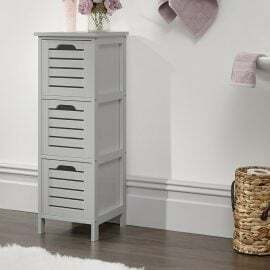 We have everything from extra shelf units to storage stool in styles to match your choice of washstand and sizes to fit your space. 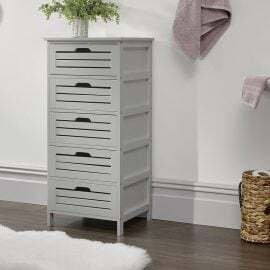 The Berlin 3 Drawer Slim Storage Unit embodies style and functionality. Finding pride of place in any home large or small, Berlin provides storage solutions for your bedrooms, hallways, bathrooms or mudrooms. 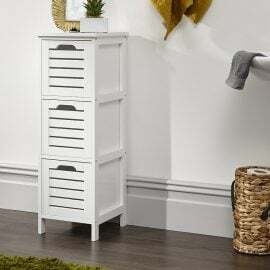 The Berlin 5 Drawer Wide Storage Unit embodies style and functionality. 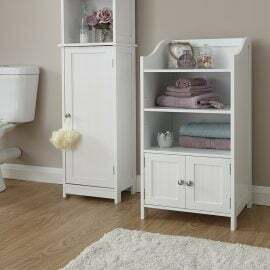 Finding pride of place in any home large or small, Berlin provides storage solutions for your bedrooms, hallways, bathrooms or mudrooms. 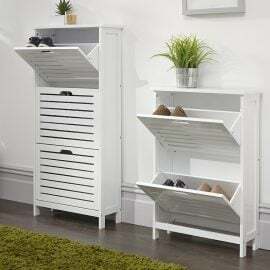 The Berlin Low 3 Door Storage Unit embodies style and functionality. Finding pride of place in any home large or small, Berlin provides storage solutions for your bedrooms, hallways, bathrooms or mudrooms. 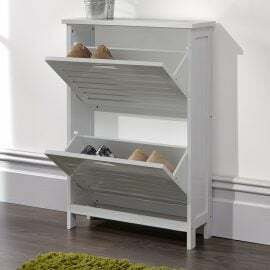 The Berlin Three Tier Shoe Cabinet embodies style and functionality. Finding pride of place in any home large or small, Berlin provides storage solutions for your bedrooms, hallways, bathrooms or mudrooms. 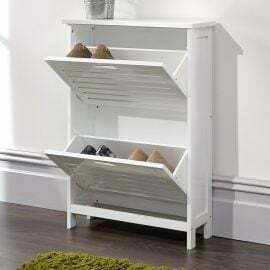 The Berlin Two Tier Shoe Cabinet embodies style and functionality. Finding pride of place in any home large or small, Berlin provides storage solutions for your bedrooms, hallways, bathrooms or mudrooms. 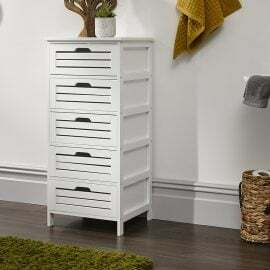 The Colombo 2 Door Deluxe Cupboard features simple lines, chrome handles and a white painted finish offer a clean, understated finish. 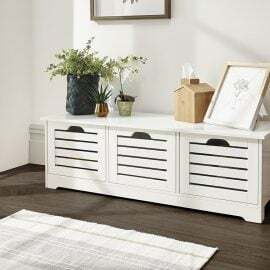 This elegant range is manufactured from MDF and offers a number of different storage solutions.